Boise Parks and Recreation's, AdVenture program, meaning Adaptive adVentures, offers year-round recreation, wilderness excursions, fitness programs, sports and social activities to individuals with disabilities, their families and friends. AdVenture’s programs include Flying into the Idaho Wilderness for overnight camping, whitewater rafting, adaptive cycling, fishing, fitness classes, snowmobiling, water-skiing, social outings, wheelchair rugby, wheelchair basketball, adaptive sports clinics and much more! Take me to AdVenture Page or call 208-608-7680 to learn more. Boise Parks and Recreation also offers scholarships. 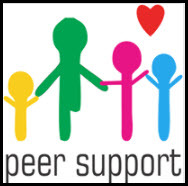 To empower and provide adaptive individuals with support, education, financial resources, and a global community. Provide opportunities for involvement in sports, recreation, and the LIMBitless™ Challenge, and equip participants to “Go Beyond,” and live life without LIMBits. ​We currently are involved with the LIMBitless Challenge and "Tech For Vets" projects. 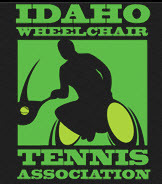 The Idaho Wheelchair Tennis Association (IWTA) boasts a history of serving Boise and the surrounding areas that spans three decades. IWTA is dedicated to the promotion of tennis among disabled adults and children. We strive to introduce competitive wheelchair tennis to local athletes, and to offer all members--with varying degrees of abilities--opportunities to connect with other players, to challenge themselves, and to participate in our community in positive ways.